Wickham DMU, Carrog, Sun 27 August 2011 - 1218. 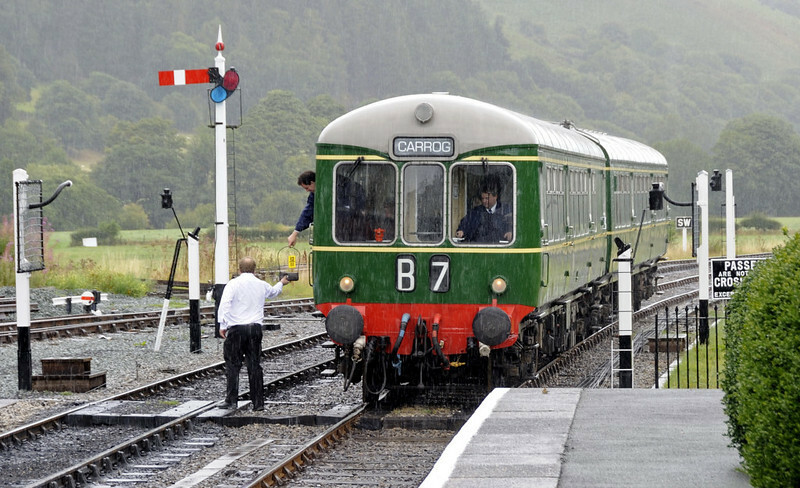 The 1125 from Llangollen arrives in the rain and surrenders its token. The DMU comprises E56171 & E50416, the only survivors of five built in 1957 to evaluate their lightweight integral construction which did not use a conventional underframe. As such, they were oddities and had very short lives except for this one, which was used by the Eastern Region general manager until about 1980.